To give apprentices a chance to get to know one another. 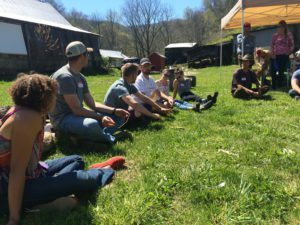 Many apprentices come from outside the area and working on a rural farm can make it hard to meet new folks. 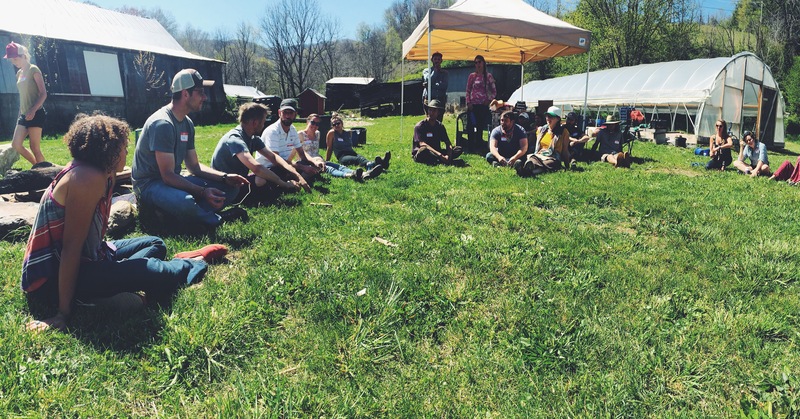 To show appreciation for the path they’re choosing to take, by considering a career in farming, and the larger, positive impact that has on the larger food system. It’s not an easy or popular path, but it’s incredibly vital. To build a support network where they can speak freely about challenges they may be facing and share ideas. 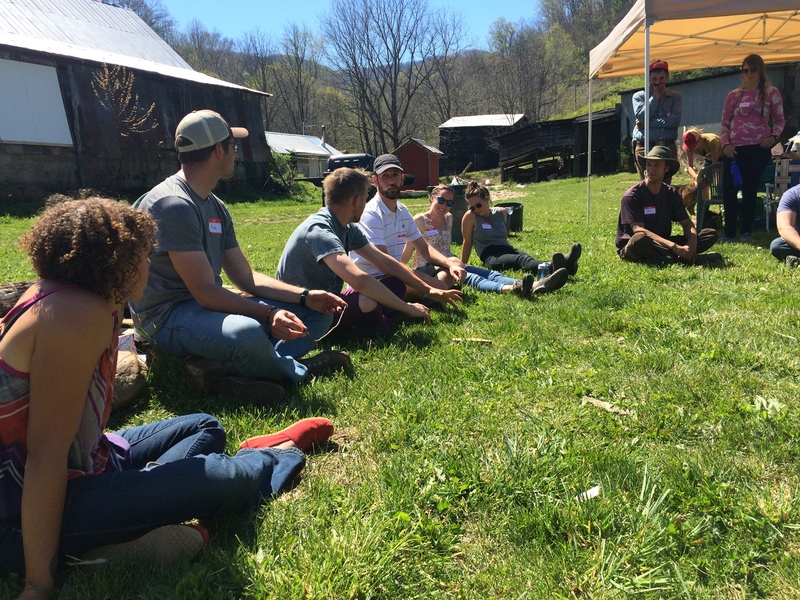 To let them hear from new farmers that were in their shoes not too long ago so they can make the most of CRAFT and their apprenticeship, as they begin to shape their ideas and goals for their own farming future. This year we were hosted by Fiddler’s Green Farm again in Marshall, NC. It was great to see how much the farm has changed and grown from the first year of production last year. Ryan Clark, the mastermind & grunt labor behind Fiddler’s Green gave us a quick tour of his operation. 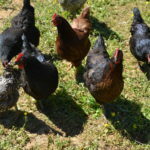 This year he has expanded from 1 acre to 2 acres in vegetable production, is raising laying hens, broiler chickens, and a small herd of pigs (the pigs and broilers hadn’t made it to the farm yet). He is increasing his small CSA from 5 families to 10, is now at the City Tailgate Market, and has several wholesale & restaurant accounts. After, the tour we gathered for some getting to know you time and the new farmer discussion. Rachel Kinard who owns Just Ripe Farm joined us and shared her story of getting started. 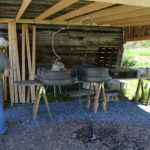 She got most of her farmer training as a WWOOFer working and traveling all over the Southeast. In 2012, she leased land with her partner and used $15,000 of family money to start the farm. In 2013, she paired with another woman farmer. 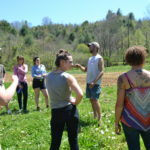 But, if anyone was in WNC in 2013 they know it was an extremely wet year and many farmers faced a lot of crop failure – particularly hard for new farmers just getting started. She and her farm partners both worked full time jobs during this time. Her friend ended up leaving farming after 2013, and she took a year off to work and save money. In 2014, she leased two acres in Bend of Ivy. 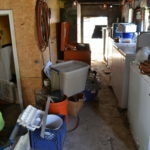 It was an advantageous situation to step into with some infrastructure already in place, and she was able to make a profit last year She signed a 10 year lease, and her monthly rent is a CSA share for the landowners. In total she has a 20 member CSA, sells to restaurants, and at the Brevard Tailgate Market. This time her big investments have gone to buying a tractor and implements. Previously she contracted with neighbors for tractor work but that can be challenging when you have to rely on someone else’s availability and the windows to get into a field can be often be short, few and far during WNC springs. One apprentice asked what her niche is, and Rachel responded that she’s still working on that one, but salad greens have become her most profitable enterprise. Ryan invested several years in his farmer training after becoming disillusioned with culinary school. He worked for 4 years on farms in the Northeast before coming to WNC where he talked himself into a crew manager position at Ivy Creek Family Farm. 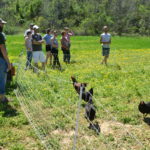 As a part of that he specifically asked to learn the farm business side of things which is often unseen during many apprenticeships where the focus stays on farm production. As a new landowner Ryan spent a significant amount more during his first year. 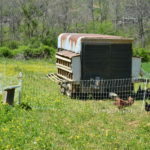 He chose to use his “nest egg” savings to make his initial investments – building a living space, walk-in cooler, greenhouse, livestock housing & fencing, and buying a tractor and implements. Finally, we asked them if there was anything they wished they learned before starting out on their own, or something that was particularly valuable to them now. 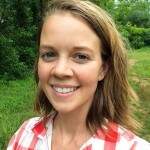 Rachel said that getting to see the numbers and finances for farms she worked, and being able to see a full year on a farm to see the whole process and rhythm of the year was huge. But, she does wish she’d learned how to drive tractor! Ryan said that learning how to manage people on the farm was a big thing for him, but thinks he should have taken more time to learn about the finances and filing taxes, also. Many thanks to Ryan & Rachel for taking the time to come tell us their start-up stories with such honesty and openness. It was a pleasure to be at Fiddler’s Green on a beautiful spring day!